Is Prezi for PowerPoint presentation designers? For those of you who aren’t yet familiar with it, Prezi is a new 2.0 web application used to create non-linear presentations. 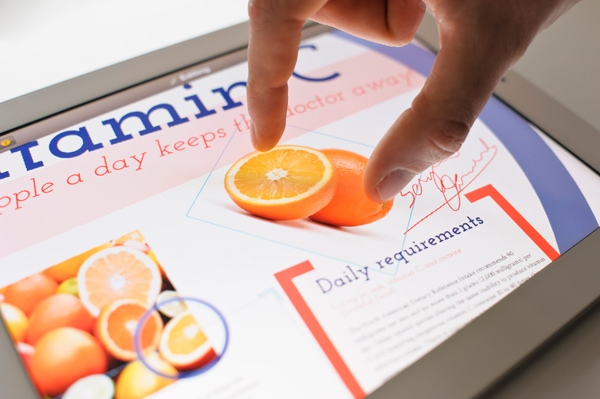 It was initially launched in 2009 but has gained increased interest from amateur presentation designers to powerpoint specialists alike, in the past year or so. If you are a PowerPoint presentation designer or use PowerPoint on a regular basis you may have been looking for alternatives to your current presentation software to find something more compelling and might have ran into Prezi. You may also have realized that the main difference with PowerPoint and Keynote lies in the non-linear approach that it takes to storytelling as well as it’s using of zoom-in and out of “slides”. As a powerpoint designer once told me, “this a brilliant yet confusing presentation tool”. Let’s give it a try a see for ourselves. Prezi runs on a freemium model, which let’s you create an unlimited amount of presentations on their website, but beware as these presentations are publicly available on their site until you pay for a subscription. To download your presentation, run it offline and keep it private you will have to subscribe to their premium account, which is a whopping $159 a year, the price of a full license of Microsoft Office, that offers PowerPoint services. We’ll go through some of the pros and con’s of Prezi and try to understand if this new tools is actually worth it and could potentially replace PowerPoint. Prezi is web based meaning that you will need a connection to edit your presentations and people viewing them will need a connection as well. On the other hand, Prezi being a cloud application, you will be able to edit it from anywhere at anytime and if you upgrade to their $159 annual plan, you will also get an offline editor. As a PowerPoint presentation designer, I have been in situations where I had to board a flight and the presentation I was working on was due upon landing, so Prezi would have forced me to miss my flight in order to work on it. Enough of my premature PowerPoint designer rant, let’s move onto the advantages of using Prezi to replace classic PowerPoint design. Many people argue that they chose Prezi as their work tool because you don’t need to be a PowerPoint presentation designer to create a decent looking Prezi. I have to agree that Prezi is quite easy to get started with, but creating a compelling presentation requires just as much storyboarding and illustration on a Prezi as it does on a PowerPoint. I would actually argue that Prezi requires a lot more design skills to step away from the generic template that is used in 90% of Prezi presentations. One advantage Prezi had over PowerPoint was the ability to have multiple people creating content on the same document, but this is a feature that has recently been introduced by Office in PowerPoint 2013. I earlier warned you about Prezi publishing your presentations to other users. 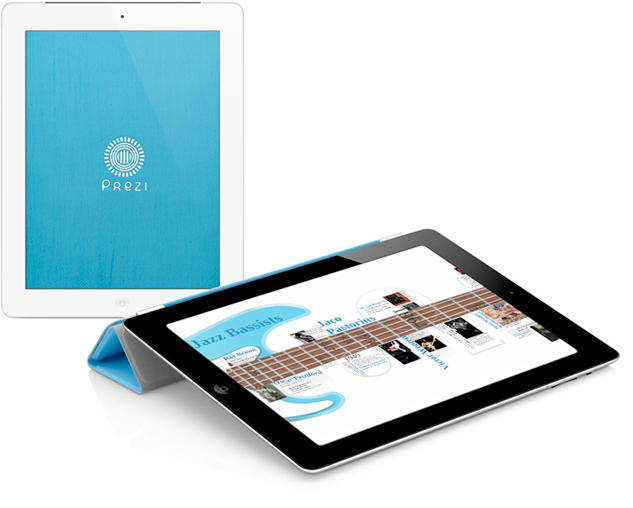 In fact, Prezi enables you to browse all the presentations that have been created on their tool since 2009. I have to admit that there are some rather interesting presentations out there to browse from and I’ve spent a fair amount of time procrastinating on their website. Though this may not be suited for most corporate presentations, I find it to be a great resource for students and other huge consumers of presentations such as our team of powerpoint specialists. Prezi is also incredibly straight forward when it comes to integrating rich media content, with tools like their Youtube videos embedder. I’m rather critical when it comes to presentation softwares, as you may have noticed. Although Prezi presents some interesting attributes when it comes to quick creation and innovative animations, once the novelty fades it’s nothing more than a cloud based PowerPoint clone. Prezi doesn’t make it extremely easy to be creative on their software and customizing elements is much more tedious than on PowerPoint or Keynote. The fonts are relatively basic and colors are hard to change around. So although Prezi gives your the opportunity to create a great presentation, it takes a lot to get there, probably much more than with your conventional PowerPoint. The most annoying aspect of Prezi, in the opinion of many PowerPoint specialists and clients alike, is the motion sickness. The zoom-in, zoom-out effect and constant rotation and swipes is awesome looking at first but after a while, I tend to get dizzy and it becomes extremely hard to focus on the presentation itself. There is no control over the speed of transitions, which in my opinion is a huge mistake, not to mention the fact that transition styles are very limited as well. Transitions are one thing but animating elements in a frame, is just as important to fully communicate your message, and this is something that is also lacking on Prezi. They recently added a fade-in animation but more would be useful at this point. Again, once you get past the initial wow factor of their animation and non-linear presentation mode, Prezi doesn’t actually change the way people create presentations. People who used to create bad PowerPoints, full of text and bullet points, will most likely have just as much text on their Prezi presentations. A Prezi presentation, just like a PowerPoint or Keynote, will only be as good as the designer behind it. Our conclusion is that we don’t expect Prezi to replace PowerPoint anytime soon; it lacks functionality and mostly lacks integration with data softwares such as Excel for example. The fact that it requires a connection or a device that reads flash, Apple products beware, doesn’t help, not to mention security questions that may arise from presentations stored online. Prezi seems to be an interesting resource for students and academics alike but is simply not suited for serious presenters. PowerPoint on the other hand offers great customizations, full integration will almost any format you can throw at it, and most of all universal trust by presenters and viewers.